Track and pay all monthly invoices from vendors while controlling your company’s cash flow. Prepare and deliver invoices and month-end statements to your customers electronically or via standard mail. We’ll print all employee paychecks on time for delivery according to your company’s pay dates. If you prefer, this can be done either by direct deposit to the employee’s bank account, or via standard check writing and delivery. We also apply all appropriate withholdings for Federal, State, Local and Social Security taxes, and produce monthly, quarterly, and year-end payroll reports, along with W-2’s for all employees and/or independent contractors. We’ll balance your month-end bank statements and provide a detailed Profit and Loss report to track all revenue and expenses. We’ll review in detail all credit card statements and categorize expenses on the Profit and Loss report. Based on the type of business, we’ll set up your revenue and expense Chart of Accounts so that your Profit and Loss reports will have all necessary details. Our accounting service prepares specific information about your company’s overall financial position, including the Profit and Loss Statement (also known as the Income Statement) along with a Balance Sheet showing all current assets and liabilities. Today’s industry-standard software gives you the choice of having accounting services provided at your office, or via remote access from our offices. 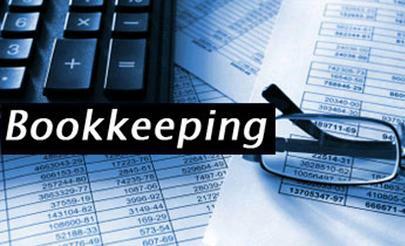 This means that you can have expert accounting services in whichever manner is most convenient for you. These reports help small business owners determine whether they have enough money to fund operations, expand the business and generate income for themselves. This is an essential business component that should not be overlooked. We will calculate and submit your Sales Tax payable and remit the amount to the State Board of Equalization on your behalf. We’ll eliminate your role as a bill collector, thus freeing up time for you to devote your time to running and managing your company’s business and growth. This service allows you to maintain positive relationships with your customer base. We’ll handle difficult collection calls and/or prepare and follow up on written communication and further collection activities if required. With several years of experience, we have the necessary skillsets to collaborate with you on any pending projects or expansion ideas which you may have in mind. We’ll assist in developing the necessary budgets, systems and personnel requirements in order to make your goals a reality. We can also assist you with the exhausting process of obtaining loans or refinancing. Over the years we have accumulated a long list of banks and funding related resources. We are trained Certified QuickBooks Pro Advisors. Based upon your business model, we will select, install and configure the software version which best suits your specific company’s needs. We will also provide training for your staff on how to use and integrate the software for the most cost effective and efficient maintenance of your company’s current and future systems.